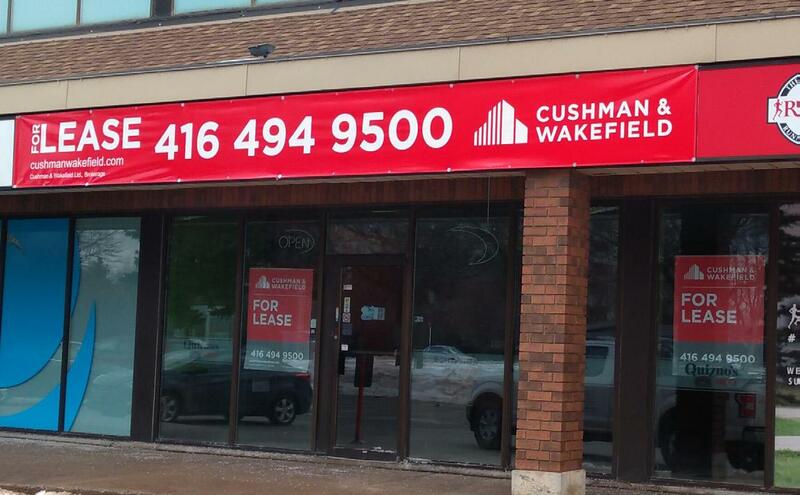 Ali Asgary and Adam Watson at Cushman & Wakefield are marketing for lease three units in a plaza at 1450 Kingston Rd., at Valley Farm Rd., just minutes from the Pickering Town Centre in Pickering, east of Toronto. The available units are 900 square feet, 1600 square feet and 1840 square feet. Co-tenants include a variety of uses such as Pizza Pizza, Milos Greek Restaurant and professional medical users. The units are available immediately. The plaza is easily accessible via the nearby Pickering GO Station and/or Hwy 401/Brock Rd. interchange. The plaza is surrounded by more than 128,000 people within a five kilometre radius with an average annual household income over $121,000 according to the 2018 market profile.